Last time I landed in Marrakech or Guadalajara, Morocco and Mexico weren’t next door neighbors. Not even close. 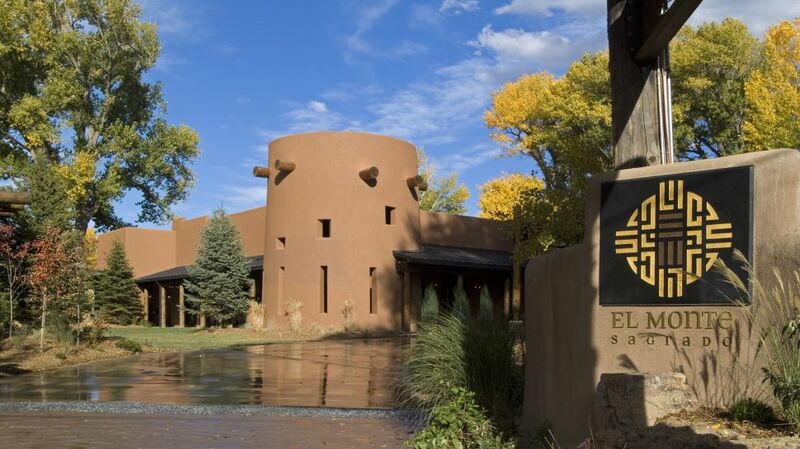 But in a private enclave of globally inspired suites at the El Monte Sagrado Living Resort and Spa in Taos, New Mexico - Morocco and Mexico live side-by-side, along with Argentina, China, Egypt, Spain, India, and Japan. Boasting spacious bedrooms, luxuriant baths, and museum worthy decors, the suites offer the exoticism sophisticated and avid travelers would expect of an international destination in one of the United States’ most mystical locales - Taos, New Mexico. There is a potent allure to the famed artist outpost and El Monte Sagrado (sacred mountain) is the ultimate confluence of Taos’ rich ancient culture, artistic heritage and glamorous international appeal. More than just a luxury hotel, El Monte Sagrado is a destination in itself. And one I always have a difficult time leaving. Everywhere you look there’s something beautiful. From corridors filled with original art and elegant staircases with hand-crafted iron railings to mindfully crafted zen gardens and graceful fountains, the resort blends seamlessly with its tranquil and secluded mountain setting. For those seeking a walk on the spiritual side, the Living Spa at El Monte Sagrado is a serene haven offering an eclectic menu of body, mind and spirit treatments. I spent an entire day once floating from one nurturing experience to the next, de-stressing, detoxifying and rebalancing. And in case you’re thinking this is just another hotel spa. It’s NOT. 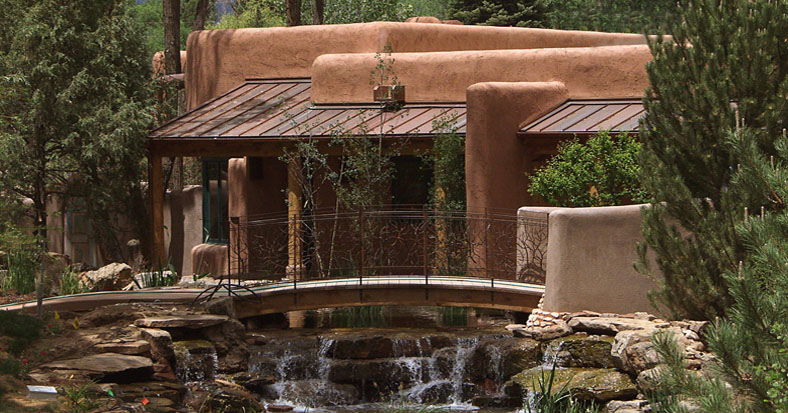 With soaring glass ceilings, a Biolarium, a unique ecosystem of recycled water and plants, and offerings such as sound and vibrational therapies, animal communication sessions or spiritual cleansing with Grandmother Jean, a Cherokee shaman, there’s nothing average about the Living Spa or the El Monte Sagrado resort. And, yes, the Egyptian Anointing. Magic! Did I mention the resort is pet-friendly? My neighbor and I arrived recently with her two dogs in tow, and reception didn’t blink an eye at her reservation for the Mexico suite. No putting pet owners in some dreary room in the basement here. No siree. Pooches are as pampered as their owners at El Monte Sagrado. And the suite’s private walled courtyard was ideal, providing a secure outdoor area for the dogs and a delightful place to enjoy the star-studded night sky or a leisurely breakfast. Learn more about El Monte Sagrado and other luxury hotels at the Kiwi Collection.